It was December 23, 2016, as I was trying to get some rest from wrapping all the gifts for the adopted kids, my need for a fast nap was interrupted by the presence of a large rat on the kitchen countertop. This was not an ordinary rodent, for it stared at me with those ugly eyes probably wondering who am I and what happened to the regular foods. The last time I saw a rat this big was at college and that was many years ago. I thought about fleeing the room for the safety of the large living room where volunteers are still wrapping gifts. The eye-to-eye staring contest with the rat seems to last forever. I finally summoned the nerve to throw my shoe at it, knowing full well that will not kill it, but just scare it off. As if the rat was reading my mind for the moment I touched my shoes he vanished with such a rapid speed that it startled me. The presence of a rat or mouse can keep you up, regardless of how tired you might be at that moment. Then it occurred to me, we’re busy wrapping Christmas gifts for the foster care kids while what we all should be doing is looking for the fastest way to get rid of the rats in the house. I moved into the living room to join the other volunteers comprising of ten women and two men with me included. I could imagine many ways to get rid of the rodents without the need to call an exterminator, but first, I have to determine if a trap or poison will be appropriate. I approached the other guy and told him about the presence of rats in this large home, and he immediately started screaming. His screams and mannerism startled me, as I falsely assumed he would take the information like a man and not create undue fear for the ladies. He grabbed his coat and bag, clearly stating for the now petrified women that he has an allergic reaction to rodents, especially rats. Finding how to get rid of rats might sound easy to some of you, but it is not, from the actions I took to make that home a rodent free environment for the kids with no parents. Contrary to my manly assumptions, some of the women displayed more guts than that guy that ran away like the rat did. If you’re reading this article and looking for a way to help disadvantaged kids, find a home that takes care of abandoned kids and makes a donation of money or volunteers your time. It will be the most rewarding experience in your life, I promise you. In my opinion, it is far more difficult to get rid of mouse infestation than rat infestation. Rarely will both cohabitate as the rats will eventually consume the mouse, especially when food is in short supply. If you do have mouse and rats running around your home, you do have to deploy different methods for catching each species. The only problem you might run into when seeking a viable solution among a group of people is convincing the few seeking how to get rid of rats without poison, which in my opinion does not exist. I soon learned that the differences of opinion can become a heated argument. I know that the ideal way to get rid of rats is to first come up with an action plan that will work if implemented the right way. I had to let everyone know that rodents are resilient creatures, and just as you try to eliminate them, they will do everything in their power to stay alive and thrive. The plan to remove the rats from the house took many days, but it was successful. Listed below are the steps we took to make that home for foster kids’ rodent free. Unless you find and seal the holes where the rats are coming from, you’ll be wasting your time trying to get rid of them. Rats are organized and most of the time they act and behave like an occupying army trying to run you out of your own home. This is probably the most difficult process in the scheme to do away with the rodents for good. I brought in some contractor buddies of mine and all agreed to donate their time if we got the needed supplies for closing the holes permanently. The first place to start in your search for the rat holes is the basement. If you reside in an apartment, you commence your search in the kitchen area. 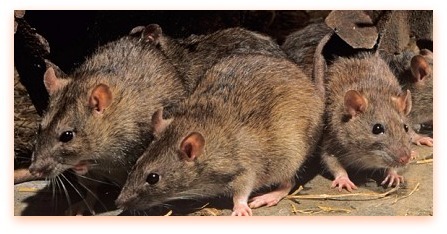 Rats have sharp teeth and can eat through most of the materials used in indoor wall construction. We found dozens of holes and a construction buddy that used to be an exterminator suggested we throw a few rat poisons into the holes before sealing them up. This was a brilliant idea as the rats and mouse will all consume the poison and die a slow death. I am not a contractor, but this CDC article about how to identify and fill a rat hole will be helpful. Another great resource is this excellent posting as to what to do if you have rats inside your walls, and ways to remove the smell before you seal it up. I know the guys used both small cement blocks and liquid cement, and small pieces of metal screen wire. Depending on the size of the hole they put a solid block that is made out of cement, a small metal screen, and then patched it all up with liquid cement. This was an old house and the rodents have established a thriving colony for many decades, which made it more difficult to find all the holes that needed to be filled up. Those in the construction industry can learn a thing or two from this rodent-proof construction post. The rat poison we used will be reviewed later on in this article. Thanks to the local hardware store that gave us the needed supplies at heavily discounted prices. The home had no attic to speak of, which was a good thing as most of the holes were found in the basement and the kitchen area. Since this home had about twenty kids, there were foods everywhere, which was one of the reasons the rats found it a welcoming habitat. If you do not re-engineer your food handling habits the rats will find another way to get inside your home. Rodents are smart and most of the time they act like an organized army, which is why you sometimes see one that is sent to scout the area for food before alerting the other members of the clan. Just like soldiers at war, rats and mouse would sacrifice themselves to save the colony from complete eradication. So you need to be smart and remove the food sources from easy reach of the rodents. In this case, we purchased solid metal containers with metal covers for the resident to store some of the perishables like bread, potatoes, oranges, etc. Despite the fact that the home was kept clean and passed inspection on a regular basis, there were also roach issues to deal with. A local exterminator fumigated the entire house on his day off and the roaches were gone permanently. If you’re using a garbage can without a cover you should change it. Also, do not throw spoiled food inside the trash bin and let it fester for hours or days. Remember rats go where the scent of foods are. It is also wise to include a plastic garbage bag inside your trash can and please do not leave the trash bag with all rotten food inside your home just because it is not the garbage day. Either you invest in a larger trash receptacle or find other ways to remove the filled up trash bag from your home, right away. The ladies came back and we all helped to thoroughly clean up that home. The amount of waste that we collected would blow your mind. They had like three to four kids to a room and we had to go room to room to make sure it was all cleaned up. Also, during the search for the rat holes, we had a pretty good idea the amount of debris that needed to go into the outdoor container. We got one of those thrash pods, were you just fill it up and they will come take it away after you fill it up with dirt. We painted the kitchen and each of the rooms with the assistance of the kids, and it was a thrilling experience. They had wood floors all throughout the house and the most difficult holes to fill were the ones found right next to the floor. A friend installed wood edges or trims right after the holes were closed up. To make the kids happier, the wood floors were thoroughly sanded and polished. Once we were finished the inside of that home looked almost like brand new, and it is my hope they keep it that way. While I am not a cat person, there is no denying the fact that they can effectively hunt mouse and rats. We got the foster care home two large cats and a local veterinarian doctor promised to look after them with free quarterly visits to the clinic. Basically, there are three main types of rat elimination products you can buy online, rat bait, rat poison, rat trap, and the trap that is designed to catch a mouse. A bait station for rats works better when deployed outdoors. The idea is to put rat poison inside of a container that rats and mouse would go into and feast on. I am sure you’ve seen rat bait products all around your city. Homeowners and commercial establishments use them because they’re quite effective at eliminating the rats that might be thinking of coming into your home to establish a colony. If you’re seeking how to get rid of rats in your yard, a rat bait station would be more effective and the weather will not affect their performance. You deploy a couple of them around your home and they work 24/7 to kill both small mouse and big rats. 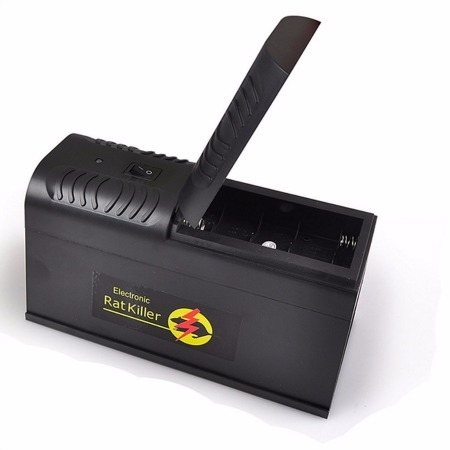 The thorough way to get rid of rats in your yard this year is to use bait stations, and one of the top rated ones is the Protecta sidekick tamper proof bait station. It is available for sale in a unit of 6, and all of them can be opened with just one key. It is designed using tough injection-molded plastic material that is also tamper resistant, which makes it safe to use around pets and kids. This bait station for rats is designed to hold the rat poison securely, which allows the rodents to nibble on it and go die someplace else. It is also possible to include two small t-rex rat snap traps, but doing so will scare off the other rats. It is far more effective to allow the rats to eat the poison and take it back to their colony for a slow, and deliberate death. The only downside is that squirrels might also nibble on the poison and they will also be killed. I do love squirrels but if I had a rat infestation in my yard I will not think twice about using the tamper-proof bait stations from Protecta to eliminate the rodents. 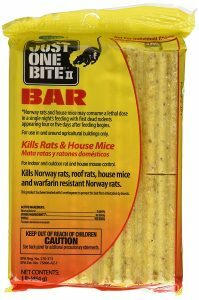 Do keep in mind that the poison for the rodents needed for bait inside the stations is sold separately, but here is a link to the top rat killing poison on Amazon.com. A rat poison is as simple as rodent elimination can get, they nibble on it long enough and it will kill them slowly. Unless you’re putting the poison inside of your wall, I would suggest you use a secure bait station as the right dispensing tool. Leaving rat poison around your home can be deadly to both kids and pets alike. The most popular rat poison product are popular with building contractors rehabilitating old or abandoned buildings. One of the best rat poisons that can help you eliminate the rodents inside of your house is called the Old Cobblers Farnam just one bite. It is capable of killing the rodents that eat it within four to five days. Again, this is not a rat killing product to be used around kids or pets. It should not be placed close to your regular food but can be broken into little pieces. Use at your own risk and discretion, especially if you’re not using it with a bait station. The need for humans to be free from the rodents cannot be understated with words. Over the years, the number of devices created to do away with rats and mouse will be hard to catalog. I told you rodents are very smart, and they have survival instincts just like we do. The only true way I know that would remove them from your home on a permanent basis is to go through the steps listed in the beginning of this article. If you do not take the time to find and close all the rat holes, the rat trap will only kill a few of them, but the colony will continue to thrive. We did consider using this rat elimination trap but decided against it, simply because it would just annoy the rest of them to multiply faster. It is available for purchase in both small and medium sizes. 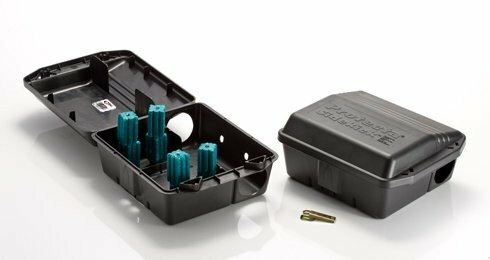 It is designed to withstand the forces that cause rust and corrosion. The idea behind the TheAtomicBarbie rat trap is simple enough, they go in and the door closes tight. 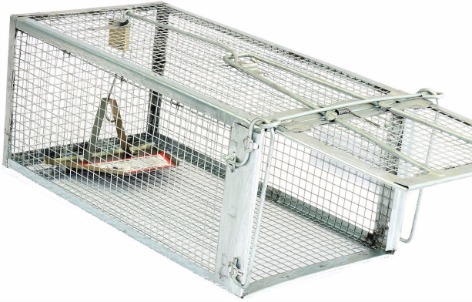 It is made out of tough wire mesh materials and will do an effective job of catching a few of the rats running around indoors or outdoors. A mouse is quite a different species from a rat. Rats love to feed on the little ones when there is no other source of food. In fact, both mouse and rats would feed on each other just to survive, a process commonly referred to as muricide. I do believe that mice infestation is far more difficult to eliminate because they’re smaller and sneakier. Good luck trying to kill one with a baseball bat! Anyway, they pose the same unique problems just like rats, but you can get rid of them with same steps listed in the beginning paragraphs of this post. The most powerful mouse poison or trap will only kill a few of them, but they tend to multiply just like roaches do. If you hate doing all the listed steps or cannot afford to hire someone competent to perform the services for you, the reviewed mouse trap below will at least keep them guessing what you’re up to. The idea behind this product for controlling mouse infestation is a workable concept but I have my doubt if it will make any dent in the mouse population within your home. It works by zapping to death any mice or rat that tries to enter to nibble on the bait you put inside. The Electrical shock sent to the rodent’s body will kill it instantly, unlike poisons that take a few days to be lethal. This product is an ideal mouse catcher for a home with pets, but it will not get rid of the rodents permanently if you want to know the truth. What is the Most Powerful Rat Poison? I have to be blunt and honest with you, the poison for killing rats will only be effective at stopping your rodent infestation if you also take the time to find the holes and seal them. You must also remove the easy to reach food sources. Rodents need to feed on a regular basis and most will move on from your residence if you make it hard for them to find food. The easiest way to get rid of rats in your yard is to use bait stations all around the outside of your home. The sensible and proven steps listed in this article will work quickly and most efficiently, either indoors or outdoors.